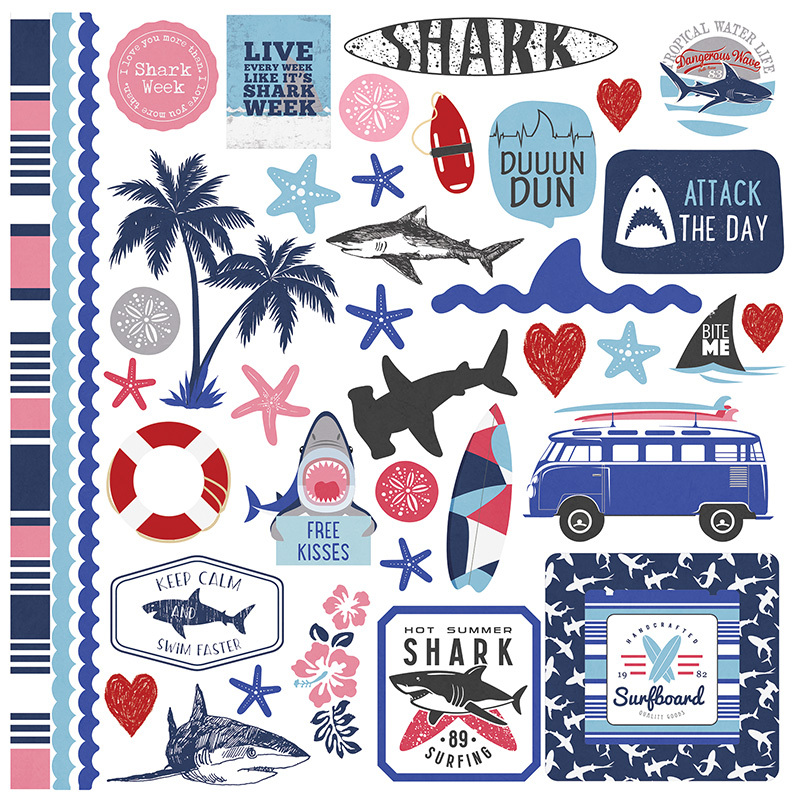 This 12x12 Sticker Sheet has an assortment of Self-Adhesive Stickers. You'll find Borders, Labels and Images that are sure to embellish and highlight your Craft Project. Part of the Shark Attack Collection by PhotoPlay Paper. Look for coordinating papers.